Oficiul National pentru Jocuri de Noroc known also with the acronym ONJN is the gambling authority for the Romanian market. 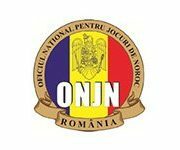 In 2015 Romania announced the regulation of the gambling market and in order to operate in Romania, operators must go through the application process with ONJN. To be compliant operators must offer their product in Romanian and the games should support the Romanian currency Lei. Hillside Gaming which operates Bet365 has been recently granted the license to operate in the Romanian market. Tain which provides gambling solution for whitelabel but also B2B services also ONJN gambling license. More European Countries are implementing their local gaming jurisdiction.